I have a confession to make; it’s a simple one with profound implications. I have wasted a lot of time in my life on low-value activities. I didn’t intend to waste it, but you and I both know that it’s all too easy to do. Hi there, leaders! 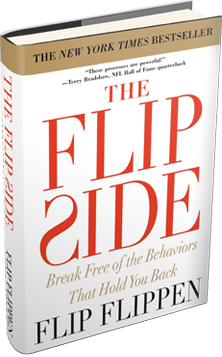 I’m Dr. Debbie Emery, Leadership Process Executive here at the Flippen Group. Today, I want to share with you a talk by our National Director of Leadership Processes, Lyle Wells. Lyle is a two-time National Coach of the Year, and in this talk he explains the three high-value activities each leader should master. Enjoy this talk, and I’ll be back in a few minutes. We all know as we look at our daily calendar, that we have high-value activities and low-value activities. But the best of the best concentrate their time on high-value, high-return activities, and I want to give you the three that make the most difference on a team. Number one is simply this: debriefing after an action. In the military, they call it an “after-action review.” In the medical profession, they call it a “morbidity or mortality meeting.” No matter what you call it, having a debrief with your team, to review what you did right and what you could do better, is always a high-value activity for a leader. The second is this: bring clarity to the operation. We assume that people know what we’re talking about. We assume that there’s clarity in our expectations. I’ve found that very rarely is that the case. So anytime you invest in clarity of expectations, clarity of execution, clarity of deliverables, it’s going to inspire your team and give them motivation to move forward. Finally, and most importantly, listening to your team members. One of the things that we teach is the most valuable commodity in any organization is the full attention of the leader. So when you’ll stop, drop your agenda, and roll with them, when you listen and you can bring validation to their thoughts and their ideas, it’s one the most valuable things you’ll ever do as a leader. Well, I really hope you enjoyed Lyle’s talk on the three high-value activities each leader should master. So in order to debrief what we just heard and bring clarity to our understanding, the three activities are doing an after-action review, bringing clarity to our team, and listening more. If you found this talk helpful, please do us a favor. Click the “Like” button to share it with your friends, and also scroll down to the bottom of the post and answer this question: Which high-value activity can you focus on today to add value to your team? So, let’s continue the conversation below. We’d love to hear from you! Take care and I’ll see you soon.